Rock and roll sprang from a combination of African-American genres, Western swing, and country music that exploded in post World War II America. 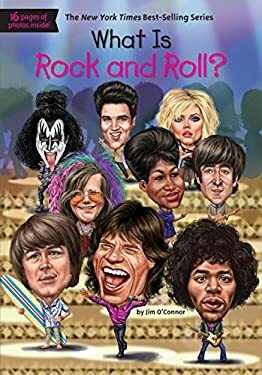 Jim O'Connor explains what constitutes rock music, follows its history and sub-genres through famous musicians and groups, and shows how rock became so much more than just a style of music influencing fashion, language, and lifestyle. This entry in the New York Times best-selling series contains eighty illustrations and sixteen pages of black and white photographs. New (5 available) BRAND NEW. Over 1.5 million happy customers. 100% money-back guarantee. Make your purchase count: support Better World Books' worldwide literacy partners.